Carrot To-Do is an app created by Grailr LLC. It costs $1.99 and is available on the iPhone, iPad and iPod touch. The whole idea behind this app is to keep you accountable and guilty for not getting things done. CARROT, the artificially intelligent and moody robot, will attempt to keep you on task by rewarding you and punishing you accordingly. When you first get this app it won’t have a lot of functionality. 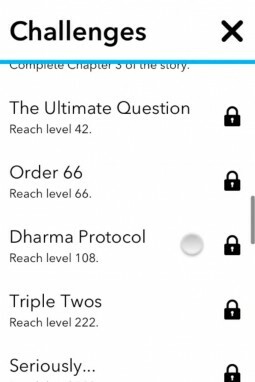 To unlock the other features you have to complete tasks first, to earn points, to level up. I think that’s a bit idiotic. I have to complete tasks to “get reward” with features I should have from the start? Why not reward me with something else? The first reward for example is the binary text for the word “manatees.” I’m not sure if that’s supposed to make me want to complete more tasks… Another example of a reward is CARROT giving you a cat and asking you to name it, only to find out that due to your procrastinating, CARROT has named the cat Sludge instead of whatever you wanted to name it. CARROT is as sarcastic and moody as a teenager, and the app gets quite old quite fast. Maybe this app can keep some people on track. Apparently it has an average rating of 5 stars from ten thousand users. If you think this app isn’t a silly idea, then then you will probably enjoy it. I think the entire idea behind this app is useless. An app such as Priority Matrix would have you better off for task management. What’s the point of doing things to not upset some app? Don’t do things because your mom, boss or CARROT yells at you, just do them regardless. That’s my personal mantra, which makes this app useless for me. If this app sounds silly, then you will find it silly and useless. If it sounds like it’s just the thing you need, then give it a try. Not to mention that if you found the CARROT Alarm effective, you will probably find this app effective as well.